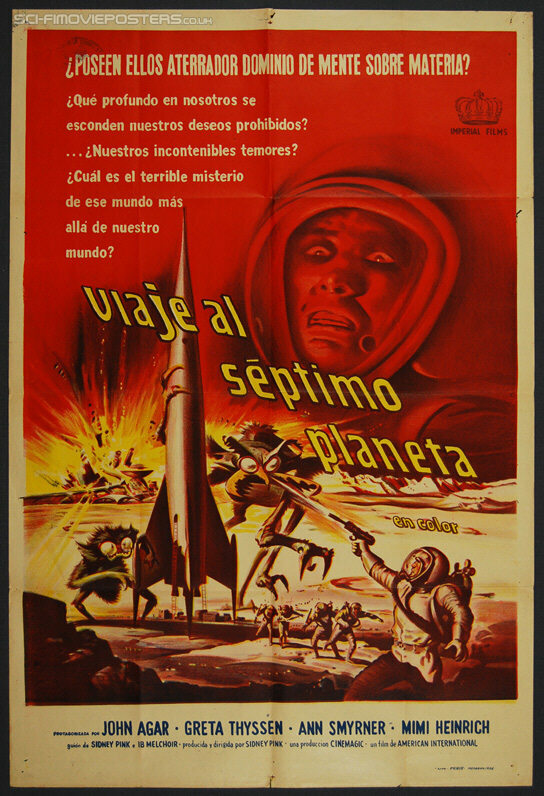 Journey to the Seventh Planet (1962). Original Argentinean One Sheet Movie Poster. 29 1/8" x 43 1/4" Single sided. 1962. Good 6.5 Folded. 1 1/2" circular tear top centre (nearly detaching a small piece of paper), small tear in bottom.